The U.S.News – Best Lawyers® “Best Law Firms” rankings are based on a rigorous evaluation process that includes the collection of client and lawyer evaluations, peer review from leading attorneys in their field, and review of additional information provided by law firms as part of the formal submission process. To be eligible for a ranking, a law firm must have at least one lawyer who is included in Best Lawyers as part of the annual peer review assessment. 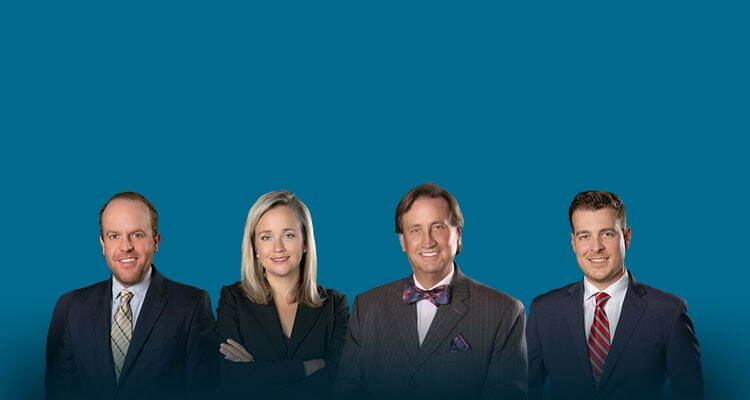 For more information on Best Lawyers ®, please visit bestlawyers.com. For the 2013 “Best Law Firms” list, released on November 1, 2012, the methodology for the initiative remained the same as in the previous two years. Clients were asked to provide feedback on firm practice groups, using a scale of 1 (weakest) to 5 (strongest), addressing expertise, responsiveness, understanding of a business and its needs, cost-effectiveness, civility, and whether they would refer another client to the firm. Clients also had the option to write in the names of law firms they’ve worked with on other matters and within practice areas beyond those they were asked to comment on by the submitting firm. Some clients chose to write a comment about their experience with the law firm. These comments are for reference only and were not used as data points in the formal evaluation process. Lawyers also voted on expertise, responsiveness, integrity, cost-effectiveness, whether they would refer a matter to a firm, and whether they consider a firm a worthy competitor. We asked this group to vote on law firms that have a preeminent national presence within specified legal practice area(s) they know well. In addition to information from these surveys, the rankings incorporate the 4.3 million evaluations of 68,761 individual leading lawyers collected by Best Lawyers® in its most recent annual survey. In addition to lawyer and client feedback, law firms were asked to provide us with general demographic and background information on the law firm and attorneys. This survey also gave firms an opportunity to share information on client profile, the significance of major legal matters they’ve undertaken, monetary and transactional values (where meaningful and applicable), and other data that speaks to the strengths of a law firm's practice areas. All of the quantitative and qualitative data were combined into an overall “Best Law Firms” score for each firm. This data was then compared to other firms within the same metropolitan area and at the national level. Because firms were often separated by small or insignificant differences in overall score, we use a tiering system rather than ranking law firms sequentially. The first tier in each metropolitan area includes those firms that scored within a certain percentage of the highest-scoring firm(s); the second tier, those firms that scored within a certain percentage of the next highest scoring firm(s), and so on. The national rankings were based on metropolitan rankings as well as on the number of offices each firm had with a metropolitan ranking and on the level of legal activity in each metropolitan area. The number of tiers included in each practice area or metropolitan area ranking varies. Of the 11,098 firms that were eligible to submit information for the ranking process, 10,324 firms, including a large number of one-person firms, received rankings, and 6,894 of those firms received first-tier national and/or metropolitan rankings. Metropolitan areas are defined by assessing the population of eligible law firms geographically to guarantee enough comparative data to produce accurate results. There are 8 states that had a high percentage of eligible law firms located in one large metropolitan area. Because there were also eligible law firms outside of those metropolitan areas, but not enough to create accurate results for separate metropolitan rankings, results were produced for the entire state. The states that fall into this category are: Alaska, Colorado, Delaware, Hawaii, Idaho, New Jersey, Rhode Island, and Utah. Practice area rankings were produced both nationally and within 170 metropolitan areas across the United States. Because some practice areas have minimal presence in particular legal markets, or because there was not enough data garnered for proper evaluation, some practice areas that are covered in our research are not represented in the national rankings or various metropolitan rankings. The 2013 “Best Law Firms” national rankings cover 80 practice areas, while as many as 118 practice areas are covered on the metropolitan lists. For the second year, one law firm in 79 of the practice areas ranked nationally will receive the prestigious 2013 “Law Firm of the Year” recognition. Law Firms receiving the “Law Firm of the Year” designation have an impressive overall performance in our research of a given practice area, representing a significant showing in the 2013 U.S.News – Best Lawyers® “Best Law Firms” initiative.